Trainer Paul Webber is hoping for a good run from his promising second season chaser Time For Rupert, when he returns to Cheltenham for the £100,000 Grade Two Argento Chase (2.35pm) on Festival Trials Day, this Saturday, January 28. The eight-year-old, owned by the Littlecote Racing Partnership, was one of last season’s leading novice chasers, winning twice at Cheltenham, including over Saturday’s course and distance, before bursting a blood vessel in the RSA Chase at The Festival in March, for which he started favourite. He returned this season in the Grade Two Charlie Hall Chase at Wetherby in October, when he was beaten three and a half lengths by another Betfred Cheltenham Gold Cup hopeful in Weird Al. He then disappointed behind Kauto Star when fifth in the Betfair Chase before getting back to winning ways when making all the running to take a graduation chase at Newbury on December 14. Webber has been happy with his stable star since Newbury, and is expecting a good show on Saturday. The Oxfordshire handler said: “He has been in wonderful form since Newbury, and we are very pleased with him. “His last run was just what we wanted - a bit of confidence restoring after a baptism of fire at Haydock against Kauto Star in such tremendous form. 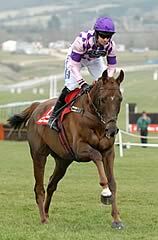 It was a real learning curve for Rupert running against those sort of horses and I am sure he has benefited from it. The Argento Chase is a key pointer to Festival glory and subsequent Betfred Cheltenham Gold Cup winners - Little Owl (1981), Master Oats (1995), See More Business (1999) and Looks Like Trouble (2000) - have all used this as a springboard to success in Jump racing’s Blue Riband event. After the success of Neptune Collonges last year, Paul Nicholls became the most successful current trainer in the race with four victories. The Champion trainer also scored with See More Business (1998 & 2001) and Taranis (2010). This year he is likely to be represented by The Minack, who has won two valuable handicaps at Ascot and Wincanton this season, and last year’s runner-up Tidal Bay. 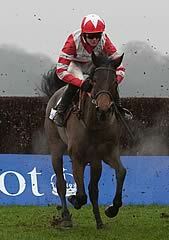 David Pipe could allow his hugely exciting novice chaser Grands Crus to step out of novice company for the first time. Last year’s World Hurdle runner-up, who holds a Betfred Cheltenham Gold Cup entry, boasts an impressive 100 per cent strike rate over fences, and he was last seen winning the Grade One Feltham Novices’ Chase at Kempton over three miles on Boxing Day. Last season’s Arkle Chase winner Captain Chris could take his chance after finishing third in the King George VI Chase at Kempton last time, as trainer Philip Hobbs bids for his first victory in the race. This season’s Hennessy Gold Cup winner Carruthers may bid to bounce back to his best after cutting himself in the Welsh National and the 2010 Hennessy scorer Diamond Harry, who was last seen finishing fourth in the Betfair Chase in November, could also attempt to cement his Betfred Cheltenham Gold Cup claims. Neil Mulholland’s Cheltenham specialist Midnight Chase, who won three competitive handicaps at the course before finishing fifth in the Gold Cup last season, comes here on the back of a fine third off top-weight in Wetherby’s Rowland Meyrick Chase, while Knockara Beau, who was sixth in the Rowland Meyrick Chase last time out, could compete on Festival Trials Day for a second time after finishing second in the Cleeve Hurdle last season. Nicky Henderson has entered Master Of The Hall, who won a Listed Chase at Aintree in December prior to refusing at Sandown last time behind Hold On Julio. The 13 entries are completed by 2010 Paddy Power Gold Cup winner Little Josh, The Sawyer, who could have his 40th start over fences, and Martin Keighley’s Any Currency. 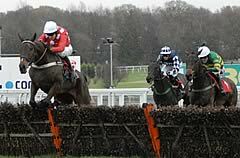 Festival Trials Day also features the £50,000 Grade Two Cleeve Hurdle (3.40pm) over three miles. The star attraction among the 11 entries for this event is the Paul Nicholls-trained Big Buck’s, winner of the last three renewals of the Ladbrokes World Hurdle at The Festival. Among his possible rivals on Saturday are his stablemates Oscargo and Five Dream, who finished runner-up behind Big Buck’s in the Long Walk Hurdle at Ascot last month. The third and fourth from that same Ascot contest, Restless Harry and Dynaste, have also been entered along with Mourad and Cross Kennon, who were third and fourth respectively to Big Buck’s in the 2011 Ladbrokes World Hurdle. The first race on the card this Saturday is the £25,000 Grade Two JCB Triumph Hurdle Trial (12.55pm). The 14 entries for the opener include the first three horses in the betting for the Grade One JCB Triumph Hurdle at The Festival in March - Baby Mix, Sadler’s Risk and Grumeti. The Tom George-trained Baby Mix registered a seven-length victory at Cheltenham in December, when he had Hinterland in second place. Sadler’s Risk, who is trained by Philip Hobbs, won easily on his hurdling debut at Kempton earlier this month while Grumeti was an impressive victor at Taunton in December before falling at the second last when looking a likely winner at Newbury on January 18. Other possible starters could include the Donald McCain-trained Hollow Tree and John Quinn’s Countrywide Flame, who filled the first two positions in the Grade One Future Champions Finale Juvenile Hurdle at Chepstow on December 27. The fourth Grade Two contest on Festival Trials Day is the £25,000 Neptune Investment Management Novices’ Hurdle (3.10pm) over an extended two and a half miles. Nicky Henderson, successful with Bobs Worth last year, has entered the hugely promising Broadback Bob, who has won both his starts over hurdles convincingly, whilst Nicholls’ challenge will be headed by Exeter novices’ hurdle runner-up Rocky Creek, an Irish point-to-point winner who is a full brother to Tell Massini. Tim Vaughan could be represented by last season’s Weatherbys Champion Bumper runner-up Destroyer Deployed, who was second on his hurdling debut over two miles behind All The Aces at Newbury, while Alan King has entered his promising juvenile Secret Edge, who was third in Chepstow’s Grade One Finale Hurdle in December. Festival Trials Day, which is the last chance to sample action at the home of Jump racing before The Festival in March, also features competitive handicap action with the £25,000 Timeform Novices’ Handicap Chase (1.30pm, 29 entries), the £40,000 Grade Three Murphy Group Handicap Chase (2.05pm, 23 entries) and the concluding Stellar Football ‘End Of Transfer Window’ Handicap Hurdle (4.15pm, 21 entries). Simon Claisse, Cheltenham’s Clerk of the Course & Director of Racing, commented today: “We have had a little shower today and we currently have genuinely good ground.